For starters...all I can say is WOW! I realized that on yesterday's post I put Happy Monday?!? OH.MY.WORD! I should try to go into great detail to explain myself (MAJOR grad school test, 200 page book to read, book critique to write, classroom to decorate, planning for a little trip this weekend, house cleaning, etc. etc. etc.) BUT I won't! :) I hope that I didn't terribly confuse any of you out in blog world and make you check yourself a thousand times to see if it was indeed Thursday instead of Monday! Seriously!?! Ay...yi...yi!!! 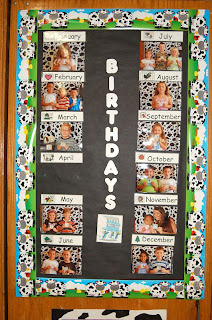 For display﻿, you can write your students name and birthday under the correct month and display under the above sign. 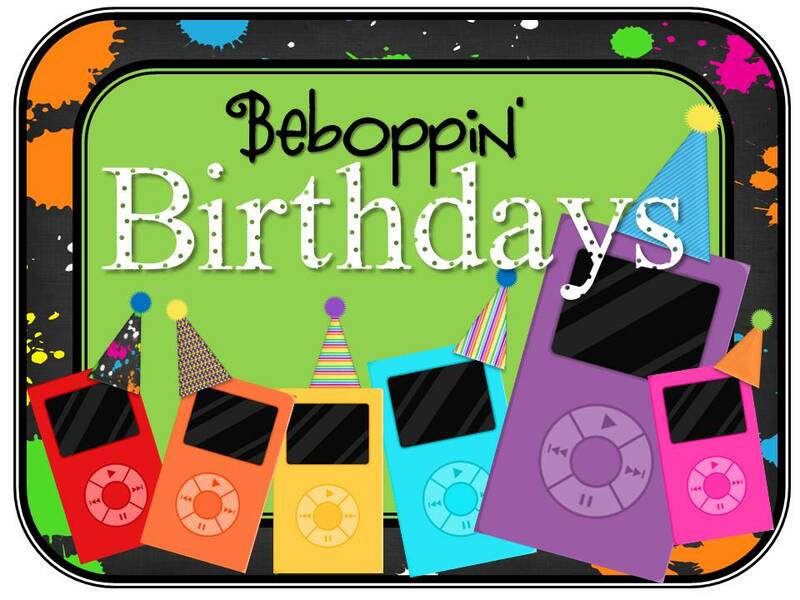 OR...if you want to get really crafty, you an display the students pictures in each ipod. Boy do I just L.O.V.E. Pinterest. Here is an idea that has been popping up all over that site! This is from Erica Bohrer's Classroom. If you haven't seen her blog, you are missing out! She is fabulous! 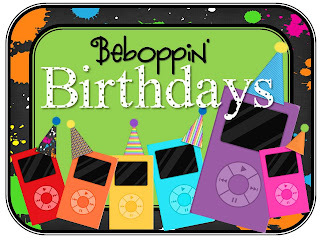 To show my overwhelming gratitude for you adding the shenanigans to your blog, I will email you a copy of Beboppin' Birthdays!!!! When you comment, please be sure to leave your email address so I can send this your way! You are just to cute! Love all of your ideas! I would totally grab your button if I had a bog!!! Can we buy it at your store? Very cute! You are in my blogroll! I woke up and thought today was Saturday....it's the summer, you are allowed to be a little off :) Good luck on your test! I just found your blog from Clutter-Free Classroom and I'm loving it! I also don't add blogs to my blog roll but you'll be on blog list. If that counts my e-mail is: ramblingaboutreading@gmail.com. Can't wait to see al your other fantastic ideas! I just found your blog! I am super excited to see you are also doing a rock-n-roll theme. 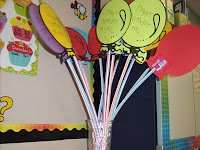 Feel free to head over to my second grade blog and see pictures of my classroom. 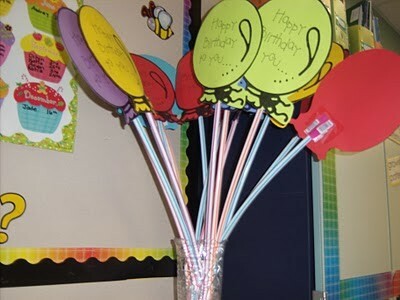 I would love to "borrow" your birthday idea for my room. i would totally post this...LOVE your ideas....just starting and not that techie at all. can we still get a copy of this cuteness? Thanks for the shout out. I just found you through pinterest! I added you on my blog! Thanks so much!!! I'm so excited!! !